When it comes to small talk, I barely get a passing grade. They say you should read the sports page if you want to be a good conversationalist. I definitely get an F in that department. Mention a sports team, and I probably can’t tell you what sport they play. Mention an athlete, and I’m lost. Maybe you are very fluid in human relations. Or maybe, like me, you feel a little clunky. I mean to show people that I care, but sometimes I have no idea how. I mean to lighten the moment with humor, but while I’m searching for that joke, the conversation moves on. But that doesn’t mean that I don’t care about people. That doesn’t mean that I don’t value them. That doesn’t mean that I don’t hurt when you hurt, or that I don’t cheer when you succeed. What it does mean is this: We all are a work in progress. All of us grow in different ways. We each have different strengths. 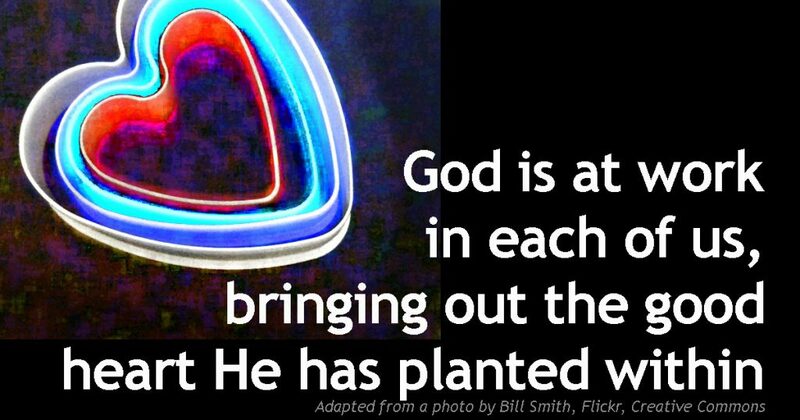 But God is at work in each of us, bringing out the good heart He has planted within. Answer from last time: Isaiah went around naked and barefoot (Isaiah 20). New question: Who killed David’s son Absalom? This is probably going to sound corny, but I’ll tell this story anyway. The first woman I dated steadily broke up with me. It was one of those, “Let’s just be friends,” break ups. You know what? I am glad it happened. It needed to happen. It was best for her and best for me. Today I want to talk about one more type of faith. This is important. Here’s why: Trouble comes into every life, and sooner or later, it will find its way to you. That’s reality. And the time will come when you will be tempted to point an accusing finger at God. This is one of the exercises of faith. We will affirm the goodness of God, even when we can’t feel it, see it, taste it, or touch it. This is the big lesson in the book of Job. Trouble happens, but God is still good. This is our act of love toward God. Yes, our world may be falling apart, but God, You are still good. Faith prompts us to do what God says, even when it doesn’t make sense. Faith opens our eyes to see the value of the gift we’ve been given. 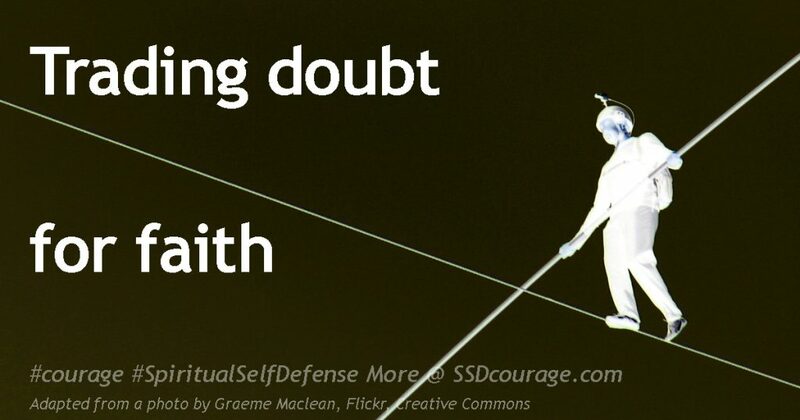 Faith is a gift from God; we trade our doubts for faith. Faith grows as we go through the adventure of living life with Jesus. Faith affirms the goodness of God, even when our world is falling apart. Answer from last time: Zechariah speaks of a flying scroll in the 5th chapter of his book. New question: Which prophet went around “naked and barefoot”? I owned an old Buick with 340,000 miles on it. I kept collision insurance on it only because I occasionally rent a car, and that gave me the option of not spending all that extra money on a damage waiver with the car rental company. 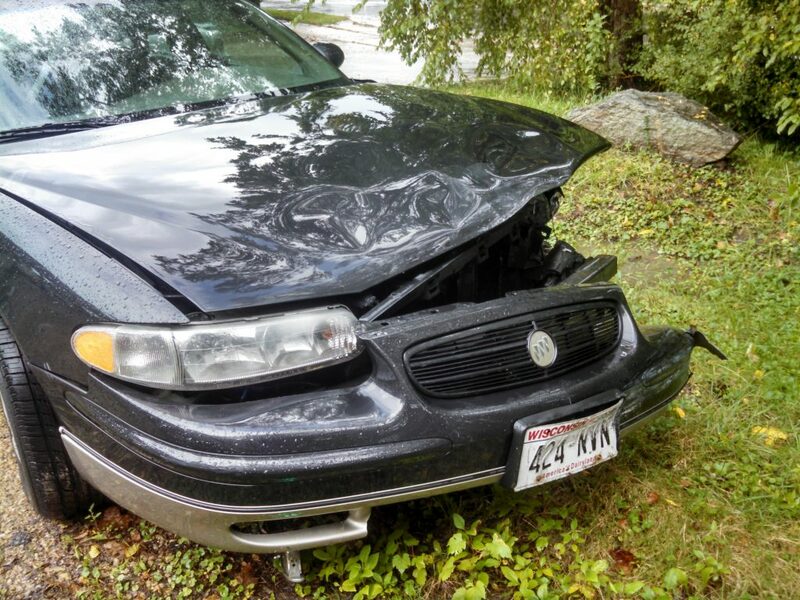 Anyway, my daughter got into a car accident with it, and it was totaled. I’m figuring, okay, the car is probably worth $500. I have a $500 deductible. There’s no way I’m going to get any money for this, and I don’t have any money set aside to get another car. Temptation: doubt, fear, complaining, panic. The insurance claims adjuster called me. “Wow, Dwight. I’ve never seen a car with this many miles before. We’re gonna need to figure out how to value this.” They gave me a rental car, and called me back three weeks later. (Remember, I was figuring the car wasn’t even worth the $500 deductible.) “We’ve decided to value your car at $2800 and we want to throw something in for sales tax.” Bottom line: I got a check for $2500. My mechanic was selling a nice used car that just got reduced from $3,000 to $1500. I got another car I’m very happy with, put some new tires on it, and had a little money left over. What’s the point? The point is this: Keep hanging out with Jesus. Living by faith is fun. And Jesus grows our faith so it’s there when we need it. How big is a mustard seed? You could probably fit ten or more in a row across your thumbnail. They’re small. I like it that Jesus compares faith to a seed. What happens to seeds? You plant them and they grow. In the case of mustard seeds, they rapidly grow into plants that look more like shrubs, some growing over 10 feet tall. The same is true with faith. We bring to God the faith we have. It may be—and often is—small. But that’s okay. That faith gets planted inside us, and it grows. We let it grow, and it will be there when we need it. New question: Which prophet makes reference to a flying scroll? A good example of this is found in Mark 9. Jesus and His three closest disciples come down from the top of the Mount of Transfiguration to a chaotic scene. A boy has some kind of epilepsy or other condition that causes him to have seizures. Not only that, but the seizures were throwing him into fire to burn or water to drown. The boy’s desperate father brings him in to be healed, but Jesus’ followers are stumped. They can’t heal him. Now Jesus has a choice. He could say, “Not good enough. You need to do better than that.” But He doesn’t. Instead, He heals the man’s son. Here’s the takeaway. You don’t need much. You just take what faith you have to God—no matter how small that faith might be. Take it to God, and watch what He does with it. Answer from last time: The four creatures surrounding God’s throne as described in Revelation looked like a lion, an ox, a man and an eagle respectively. New question: My friend Nathan asked a question that I would like to share with you. In the NIV Bible, the word love is used in 1 Corinthians 13. But in the King James Bible, the word “charity” is used. Why? “You can’t get right with God without faith. You gotta believe He’s there, and He rewards those who don’t give up following Him.” That’s my paraphrase of Hebrews 11:6 from the Bible. 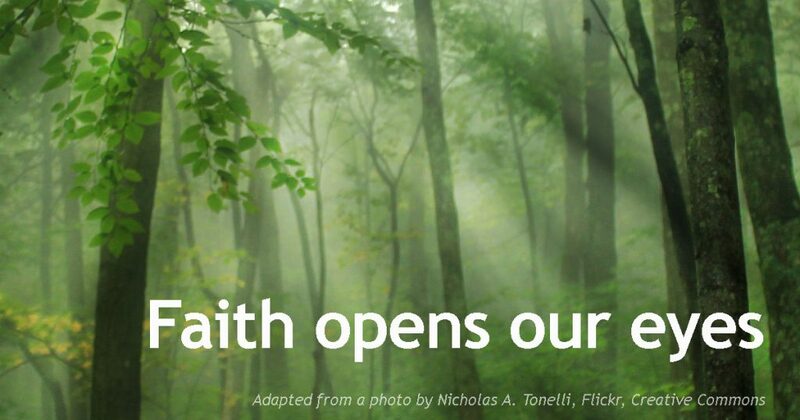 Faith unlocks the door to a relationship with God. Years ago I used to get into noisy debates with people who rejected the existence of God. I don’t do that anymore. Here’s one reason: I never see Jesus trying to prove that God exists. Instead, I see Jesus being straight with people about what it costs to follow Him. “Count the cost,” He says. “You gotta decide whether this investment of time, energy, pain…love is worth it.” Faith tells us it is. We followers of Jesus have endured slander, contempt, ridicule, persecution, discrimination, and in some cases imprisonment, torture and death. We don’t like any of those things. We don’t enjoy any of those things. But we weighed our options and decided it was worth it. We got the better deal by following Jesus. Faith opens our eyes to the value of the gift we have been given. Answer from last time: Abram (Abraham) rescued his nephew Lot. New question: According to Revelation, God’s throne in heaven is surrounded by four creatures. What do they look like? When I was a child, I collected insects. I went outside hunting for grasshoppers and beetles and ladybugs, and put them all in a glass jar. I fed them grass and let them breathe with holes nailed through the lid. One day, after a particularly successful hunt, I had a huge jar just buzzing with all kinds bugs. 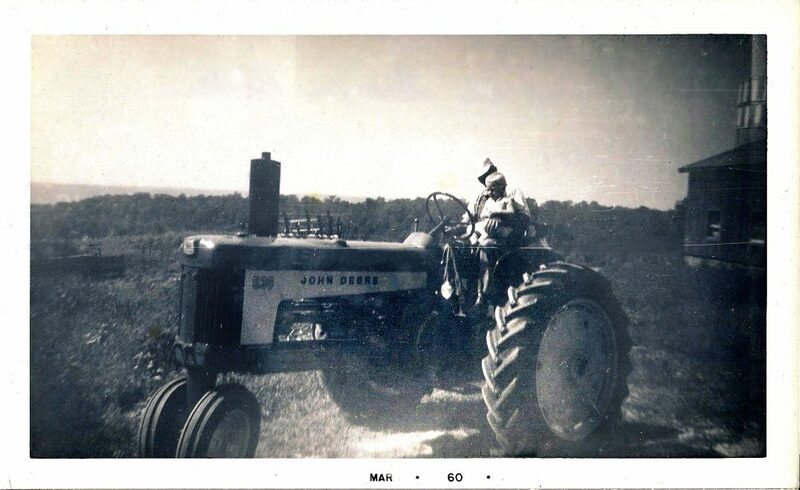 I decided to climb to the top of my grandpa’s John Deere tractor with my glass jar in tow. “I wouldn’t do that if I were you,” my grandfather warned. He didn’t understand. This was my moment of triumph. I don’t know if you’ve ever climbed to the top of a John Deere tractor, but the top isn’t perfectly level. Each side slopes downward. I set my jar down, and before I could stop it, gravity did its work. My glass jar was on the ground, shattered into a thousand jagged pieces. Of course there were tears, and with those tears came a new realization: Maybe Grandpa knows what he’s talking about. I want to take the next few posts and talk about faith. There are many ways we demonstrate our faith in God. Here’s one: We do what He says, even when it doesn’t make sense. Answer from last time: David’s best friend was King Saul’s son, Jonathan. New question: Who did Abram (Abraham) rescue? Last time we posed the question: How will we be totally transformed into perfect people in an instant? What is this saying? This is NOT a positive thinking verse, a hopeful fantasy, an ideal to work toward. This is present day reality. This is the real you. The real you is inside, waiting to come out. Let me suggest this: The only things that prevent us from being those beautiful people who will love, respect, understand and trust one another for all eternity are deception and ignorance. And those two things will not stand in the presence of Jesus. We will see Him as He really is and we will become who we really are. New question: Who was David’s best friend? Do other people sometimes irritate you? I would be lying if I said no to that question. For most of us… there are some people we can hardly stand to be around. Their politics are all messed up, they have annoying habits, they’re rude, they’re inconsiderate, they did us wrong, whatever. I’m not talking about unbelievers. I’m talking about fellow Christians—people with whom we will spend eternity. 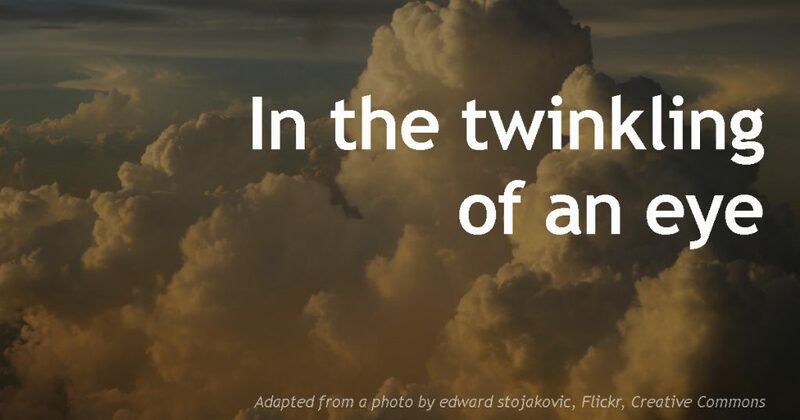 They will be in heaven with us; we will be in heaven with them; and—guess what—we’ll all get along beautifully. The Bible says we will be changed—in the twinkling of an eye—in a nanosecond. Instantly. 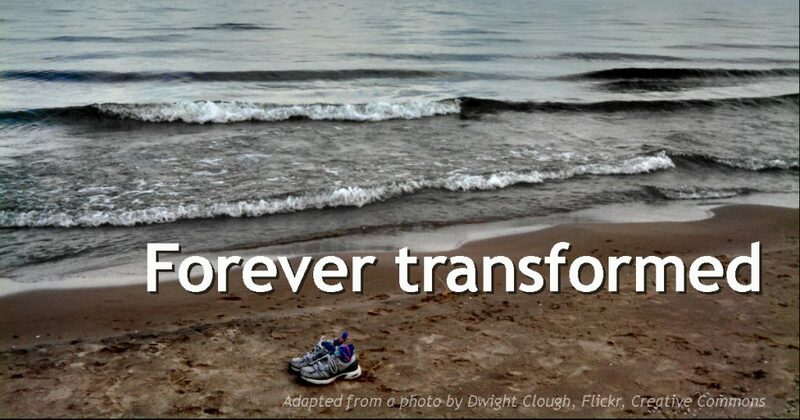 What will transform that unlovable person into a person we are delighted to call family? More to the point, what will transform us? What do you think? How will that work? Answer from last time: Abimelech murdered his brothers. 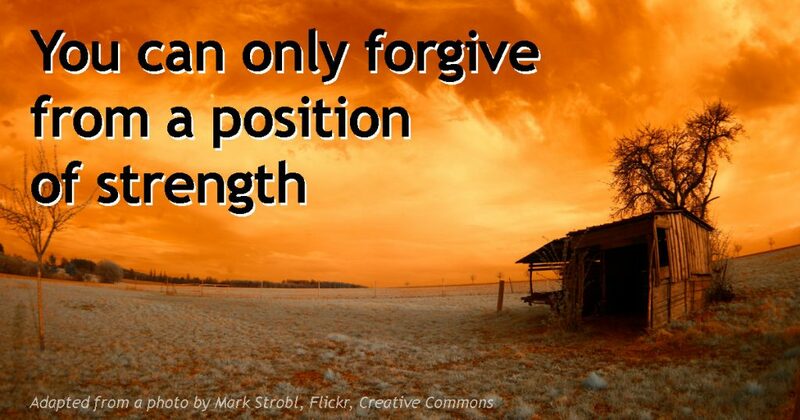 New question: According to Jesus, how many times are we to forgive our fellow believer? The shortest verse in the Bible is also one of the most important: “Jesus wept.” John 11:35. Why did He weep? Not because He can’t or won’t fix our problems, but rather because He is not aloof. He feels our pain. He cares. He hurts when we hurt. God is love. Love needs someone to love. That someone is you. God wants to encourage you. He wants to comfort you. He wants to affirm you. He wants to help you. Bring your hurts and your problems to Him. He understands. He will listen. He will care. He will guide you to a better place. Yes, Jesus is for the here and now. But there are bullies in this life that are bigger than you or me. Sooner or later, we tangle with them, and we get hurt. That’s reality. But no bully is bigger than the eternal life granted us by the Father through Jesus. I’ve said it before: The work of the enemy in your life is like sand castles on the shore of eternity…and the tide is coming in. Almost always you can make a choice that will move you forward toward your ultimate triumph as a son or daughter of God. Maybe the choice before you is to say yes to God. Maybe that is your only choice. If so, that is your power; use it! You may also have the power to cry out to God, to smile, to be pleasant to those who are unpleasant to you, to ask for wisdom, or to do some other good thing. Focus on what you can NOT on what you cannot do, and let God take care of the rest. A similar principle: If you’re in a conflict that’s 99% the other person’s fault, focus on your one percent. 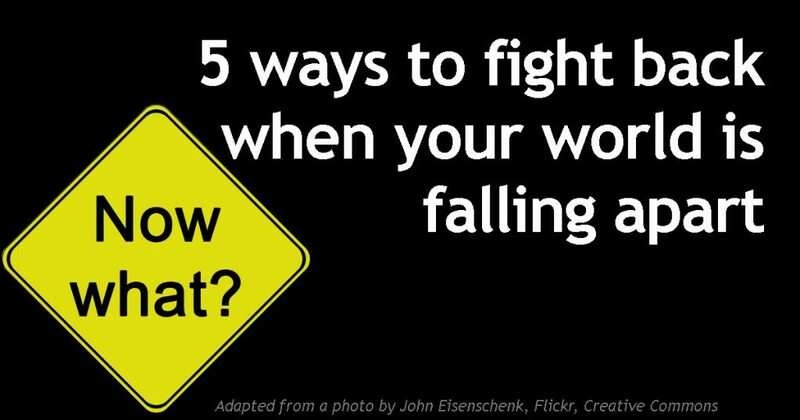 You’ll be surprised, as a rule, how powerful this principle is in resolving most conflicts. 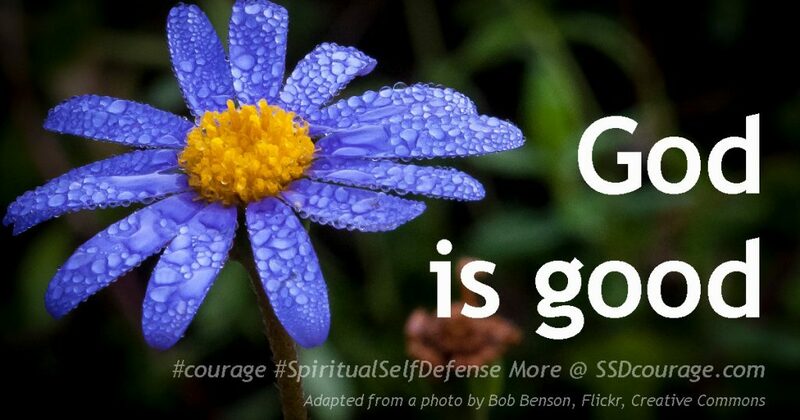 NOTE: This post is an excerpt from the book, Spiritual Self Defense: How to use the Christian faith to overcome anxiety, anger, addiction and all kinds of bullies. Answer from last time: In 2 Chronicles 21:12 we learn that Elijah sent a letter to Jehoram, king of Judah. New question: What happened to Abimelech’s brothers?